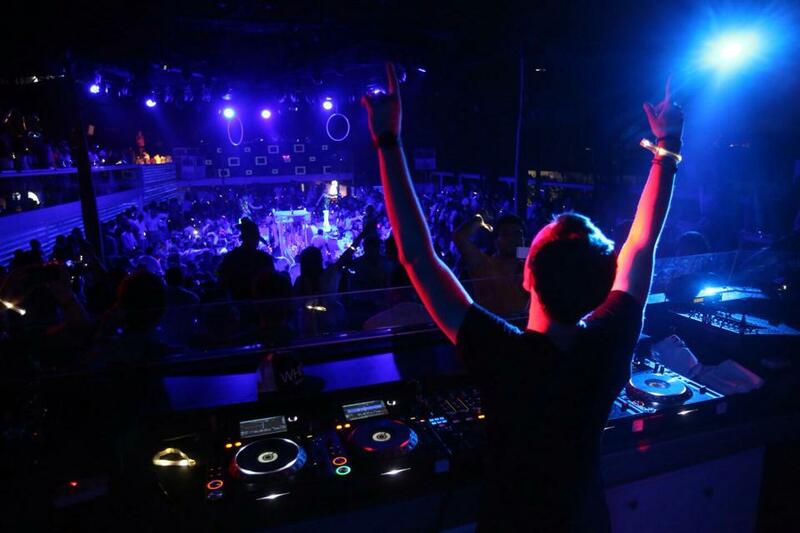 Andrew Rayel: "Trance is Pretty Big!" 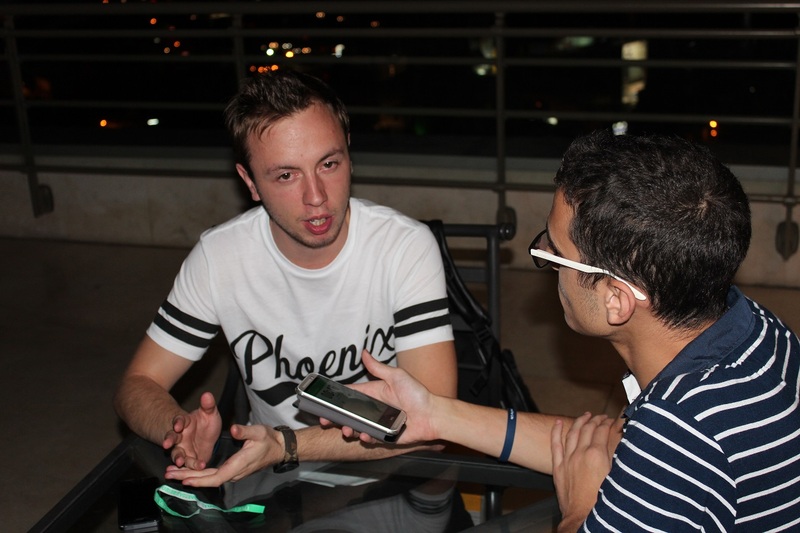 On August 21st Andrew Rayel performed in Beirut as part of his album world tour “Find Your Harmony” and we had the chance to interview him before his performance. We talked about his music, the Trance Scene & the future. Here’s what he had to say! 1- First of all, welcome back to Beirut. How would you describe the city after your previous visit at #ASOT600BEI? Thank you so much! It was absolutely incredible, I mean I’ve never been before that to Beirut, I’ve never actually heard much about Beirut only like Roger my manager told me it’s a nice place with a very good crowd and what was really cool about it that was my first “A State of Trance” performance for me, a big performance and I didn’t expect to have a lot of people, I know ASOT is a lot about Armin and I thought like most of people will come to the moment when Armin will perform, I was actually really surprised that the place was packed, it’s full & everyone was going insane and I remember I made a special intro “Ya Hawa Bayrout” and I wanted lots of people to appreciate this work, it was insane, it was going crazy. I loved it! Can’t wait to perform tonight. 2- When you first started listening to Trance, who was your biggest inspiration at that time? Well, I think it was Armin & ATB, I mean before Trance I used to listen a lot to different styles of music, I was a big fan of Rock Music, I remember at that time RnB was really popular so all my friend were listening to RnB so of course I had to listen to it too, Classical Music I used to listen to it all the time, and we founded about A State of Trance. We had a radio station that used to play a lot ATB, like old school kind of his music I used to listen to it and I said yeah, it’s great, that’s what I want to create and started listening to ASOT like every week and then I found out about more producers & DJs, found out more about this music & I started to create this kind of music, Trance Music. 3- Let’s talk a bit about your album “Find Your Harmony”, how long it took you to produce & finalize everything? Well it took me, I would say from the moment that I said now I want to start working on my album it was more than 1.5 years maybe 2 years, but in general I always knew that I will do an album because at the moment it’s not that popular to make an album, but the moment when I started it, everyone had an album, I mean that’s how I discovered people, not really though their radioshows but through their albums, every big DJ used to release an album like Tiesto, Armin, I had this album said that’s what I want to create, I want to create a product and then it was kinda hard and during the years it wasn’t that popular anymore. I always had idea and a folder on my computer which is called Album, obviously, and every time I came up with an idea that I thought this is gonna be really good for an album, I never used it, I just saved it there and when the moment came and I said I wanna do an album, I just opened the folder and I started working on the ideas that were saved. Basically 1.5 years maybe 2, but if you think in general, it took me more than that because I already had some stuff prepared. 4- One of the tracks on your Album is called “Power of Elements”, what elements you think gives Trance power? Well first of all it’s the Melody. That’s for sure. I mean, Trance music is mostly about the melodies and the energy it gives to people, emotions! If you listen to other genres, I would call that kind of music more like a Party Music, I mean, you wanna go to a club and party and just go crazy and do whatever you want, but Trance is more about emotions, you wanna tell a story though that music, maybe at some point you want to make people cry, or whatever. That’s what Trance is mostly about. 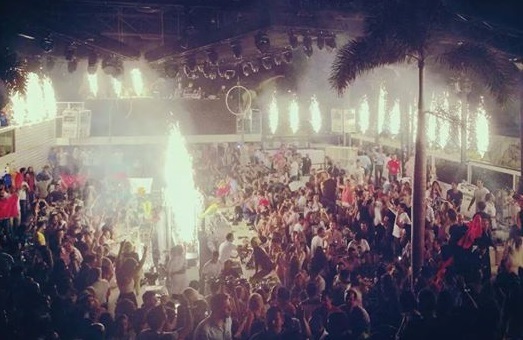 I know today people try to combine the emotions with energy, to make it like double impact, to make it also party music, but also keep the melodies, I know some people go too much over the line or whatever haha! But that’s what I wanna do, I wanna combine them together, I wanna keep the good melody but I also wanna have the energy in my sets, people can actually dance not just cry. 5- We can tell that you have a strong musical background from using the piano in your tracks, ever thought of experimenting a new instrument? There’s pretty much just a few like basic classic instruments, like strings, piano, the whole orchestra, violin. I use violin in so many tracks and of course there are many other classical instruments more unique to specific parts of the world like in China, I bet in Beirut there’s a classical flute or whatever! Yea why not, sound cool & it’s always great to use that! You don’t actually find them in virtual instruments, you have to go find real ones before you use them so it’s kinda hard to do it! 6- What’s your opinion about the current Trance Scene? It’s pretty big! I mean, you can look to it in different aspects. If you look into DJ Mag aspect, you can see Aly & Fila which is Trance Trance in the TOP20, that says something. If you look it through ASOT, so many followers, one of the biggest tours I’ve ever had with ASOT650, so many people came, you never expected that, in Kuala Lumpur there were 30.000 people came just for A State of Trance, in Jakarta 10.000 people, I’m not talking about Holland cause there’s like 5 stages, all kinds of Trance you want, there was 138 stage, main stage, more of a vocals stage, everything you want, you just go there and choose whatever you want. So I still think it’s pretty big, you can see now, if you notice more House DJs they start to go into more melodies, I won’t say it’s Trance but anyway, it’s that direction. So Trance is Pretty Big! 7- What would you say to Andrew Rayel of the future? I dunno, it keeps changing all the time, but certainly I will never stop producing my old kinds of stuff, you can see in the Album a part is new sound but you can see some tracks like “Power of Elements” and “There are no words” which is basically my old kind of sound, so what I want to do now is just like, keep switching them, keep producing one track like this, produce another like that. People appreciate one period of your time, where you released 2 or 3 tracks in 1 style which is more like into Bigroom and I don’t decide that, I mean maybe I want to release 1 melodic but the label say no, it’s not perfect at the moment, release this one, but they still don’t know what’s coming, so there’s gonna be definitely different kinds of stuff, even like soundtracks or like completely orchestral stuff, there are so many things I wanna do & I will do but people just don’t think globally, “this is what you did and this is what you did”. 8- If you had to summarize your journey so far with a Track, what could it be? Ohhh! With one track? That’s kind of hard, I mean I would say 2 tracks. That would be for sure the track that pushed me a lot in the Scene that was “550 Senta”, the track that gave me an impact and another track that gave me an impact is “Dark Warrior”, so I dunno those 2 tracks describe my journey! 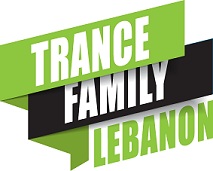 9- Any last message to Trance Family Lebanon & your fans? I would like to say thank you to everyone, I mean they supported so much during my career, all the Trance Families from Lebanon, from all over the world & everyone who just simply enjoy my music. Thank you so much and I hope in the future I can give you more of my music and I hope they will like it.